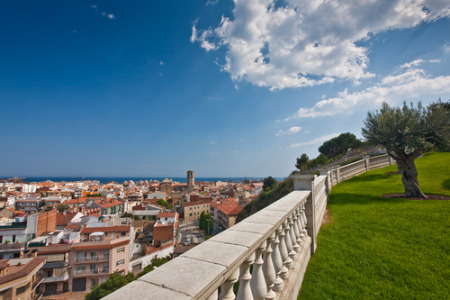 Malgrat de Mar holidays take you to Spain's Costa Brava, twenty miles from Gerona. Holidays to Malgrat de Mar can be taken from April until October with temperatures rising to a pleasant thirty degrees at the height of the season. It is a charming historic town with an old castle and cathedral that are well worth visiting. Holidays to Malgrat de Mar have wide appeal as this lively resort has much to offer. With a good sandy beach, it is no surprise that our cheap Malgrat de Mar holidays are snapped up by families. With a variety of water sports and recreational facilities on land, as well as a number of tourist attractions, our low cost Malgrat de Mar holidays can be as relaxed or as active as you wish. Marine Land and the Activ Nature adventure park offer thrills for all the family. With good accommodation, restaurants catering for all tastes and nightlife to suit all moods, our bargain Malgrat de Mar holidays are sure to please. They offer great value as our commitment to quality and service never wavers. Since our Malgrat de Mar holiday offers disappear like hot cakes, don't delay, book today. For further details, and to view our best Malgrat de Mar holiday deals, please use the search facility.